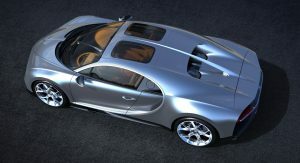 In between the development of the Divo and probably still looking to shatter the top speed record for production cars, Bugatti has revealed the newest option for the Chiron: a glass roof. 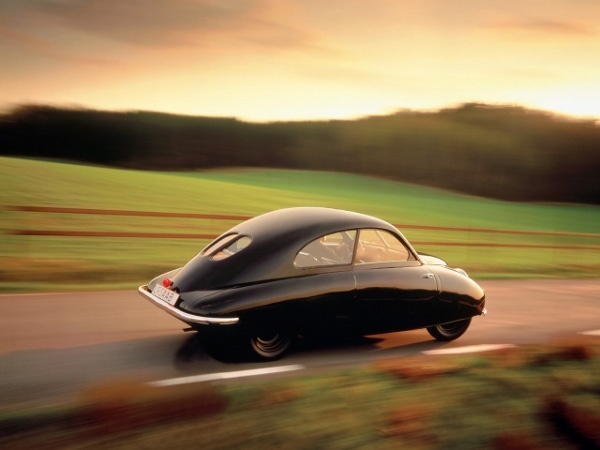 Called ‘Sky View’ by the Molsheim-based car maker, it consists of two fixed panels above the driver’s and passenger’s heads, 65cm (25.6in) long and 44cm (17.3in) wide each. 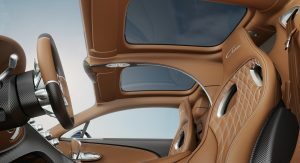 The glass roof provides an additional 2.7cm (1.06in) of headroom according to Bugatti, and is tinted for extra privacy and to prevent dazzle effects, filtering out UVA and UVB radiation. 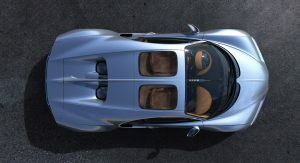 It also “offers outstanding noise abatement”, and doesn’t affect the overall stiffness or crash safety of the potentially record-breaking hypercar. 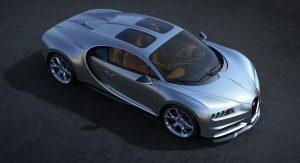 Bugatti says the Sky View is available as an optional extra with immediate effect, although they don’t talk about costs. 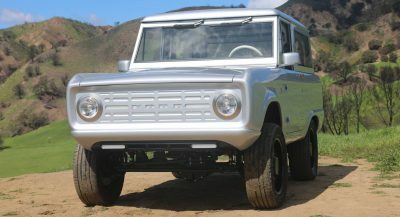 Still, when someone can afford to blow a few millions of dollars on one of the best vehicles the world has ever seen, it’s very likely they won’t mind spending another four or perhaps five-digit sum to be able to look at the sky directly from the cockpit. A Bugatti Chiron equipped with the optional glass roof will sit under the California sun, at the Monterey Car Week, at the end of August. Hopefully, by then we’ll also be able to report everything about the Bugatti Divo, a more extreme version of the Chiron offered in only 40 units, which will be approximately twice as expensive than the average hypercar made in Molsheim. 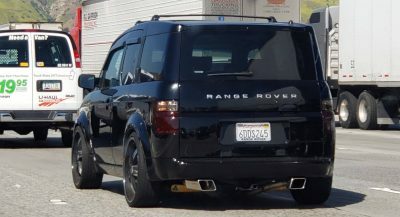 They could have gone for a more elegant shape, also considering the sweeping sides of the car. They remind me of windows on boats, which is not exactly ideal on a million-dollars hypercar. our comments are few seconds apart, yet on the opposite side. Different people have different minds and tastes i guess. Totally. I was expecting something more similar to the rear windows of a C2 Corvette, a bit more elaborate. To each its own! Yeah, I just realised the windows the Corvette had are not so different from these (possibly it’s the shape of the roof that does the trick for me on the Vette). Ideally, I’d like the windows on the Chiron to be in an elegant, sweeping shape. More similar to a veil, or a drop of water. Something that works better with the sides of the car, or that works better even with that sort of finn in the middle of the roof. Something similar to the Ursaab, but longer and with sharp edges. I know it’s hard to imagine, and to actually understand what I want… I guess this is what five years of history of arts in high school does to you. It’s all good. I get what you’re describing. I’m not sure what they could’ve done to accomplish it, but I agree, your proposed shapes would be more consistent with the shapes already represented on the car. 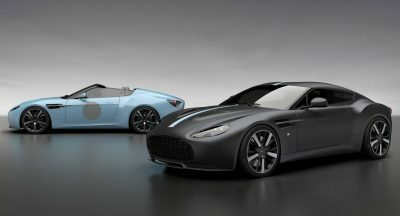 With that silver colour, remained me of early 00s concept cars. Thats’ how Chiron should look like. Gotta cost more than the $21K oil change, so I say it’s a $100K option. Needs a bigger glass roof IMO. Its just what I was thinking. I wonder if its even possible? I actually like silver on the Chiron, and I think that dual glass roof looks great! sooooo does this mean no targa variant? silly of me to get my hopes up. im pretty sure that curved pillar in the center has to be there for structural rigidity. 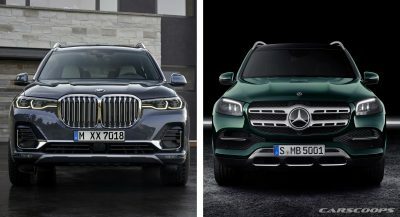 They will introduce Grand Sport variant in the future, but since there are 2 year waiting list, launching one now would be too early, expect them to be launched when the Coupe waiting list is lower.